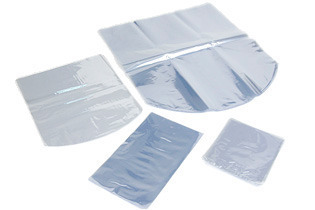 Backed ourselves with proficient and sound amenities, we are immersed in presenting to our customers an extensive compilation of Shrink Bags. Their availability with us in different colours, sizes and dimensions makes these highly recommended and cherished. Also, we offer customization facility for this range to our customers so as to meet with their changing desires. Navkar Plastipack is a leading manufacturer and supplier of Shrink Sleeves, Shrink Rolls and Shrink Bags in clear, transparent, coloured and printed form as per customer requirements. These wide range of products are manufactured at the modern facility of Navkar Plastipack Private Limited which ensure superior and consistent quality timely deliveries and customer satisfaction.